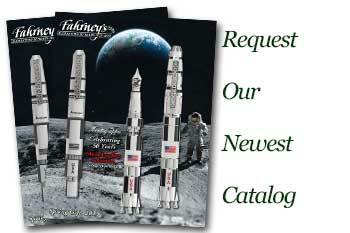 Order your Chilton Wingflow Fountain Pen today from FahrneysPens.com. Fine Pens, Refills & Luxurious Gifts – great prices & fast shipping. Originally founded in 1923, the iconic Chilton Pen brand has been revived with a reinterpretation of its famous Wingflow collection. In 1935, the Wingflow offered a revolutionary wrap-around nib and distinctive Art Deco patterns on the barrel using metal inlays. Wingflow became Chilton’s most successful writing instrument due to these “radical” innovations and its decision to launch an advertising campaign produced by a fledging illustrator, none other than Dr. Seuss! The ads were hugely popular and established Chilton as a national brand. Today, the Wingflow enjoys cult status among collectors for its rarity and uniqueness. The new Wingflow series is produced using special resins inspired by the original barrel designs in four distinct colors: Dark Burgundy, Rich Black, Camel Brown or Midnight Blue. The Wingflow comes in a fountain pen with an iridium-plated steel nib or a ball pen with a twist activator. Each one features a silver-plated clip and and with the famous Chilton logo engraved on the barrel, and is sure to be as successful today as in yesteryear! Cartridge/converter fill. Special savings! Fahrney's made a special purchase of the remaining stock of the Chilton Wingflow and will offer them to you at great savings while our supplies last!